I make this knife design quite frequently, but I’ve never done one like this before. 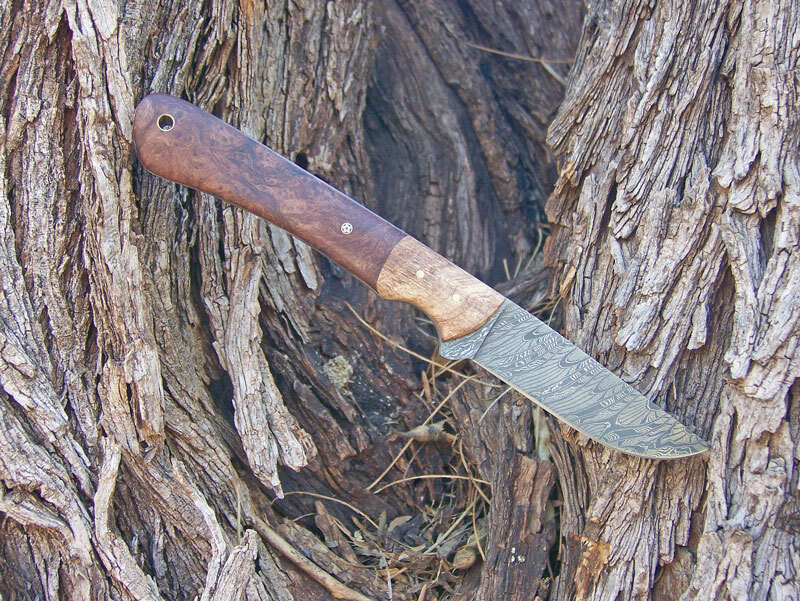 This knife is made of stainless Damascus from Mike Norris in a pattern he calls “Fire Clone.” He tells me that there are only four people in the USA who have mastered pattern welded stainless Damascus, and he’s one of them. This is premium material! 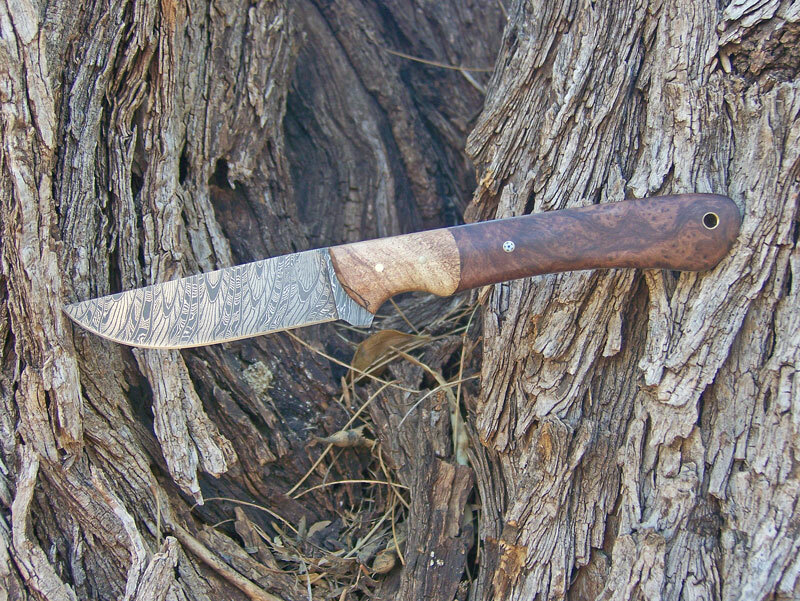 The knife features stabilized redwood burl and stabilized spalted maple. 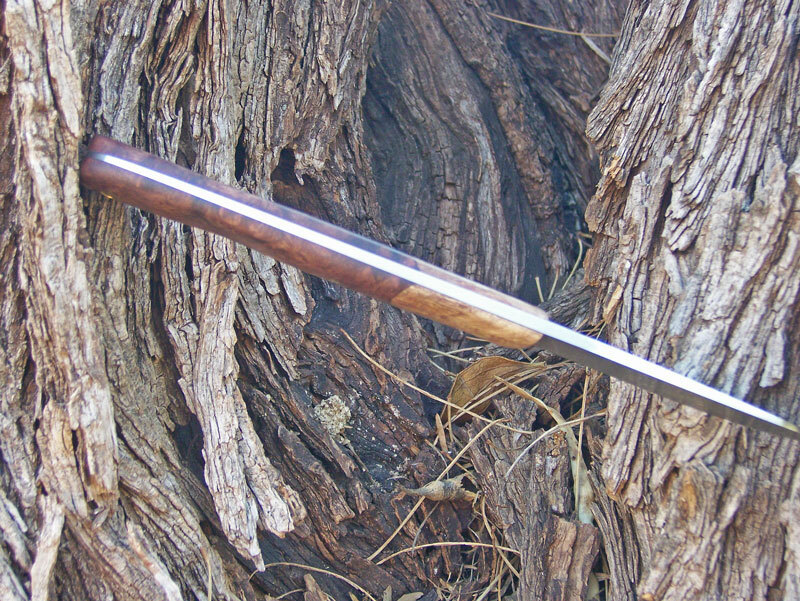 Bolsters are dovetailed and the tang is tapered down to 1/16″. 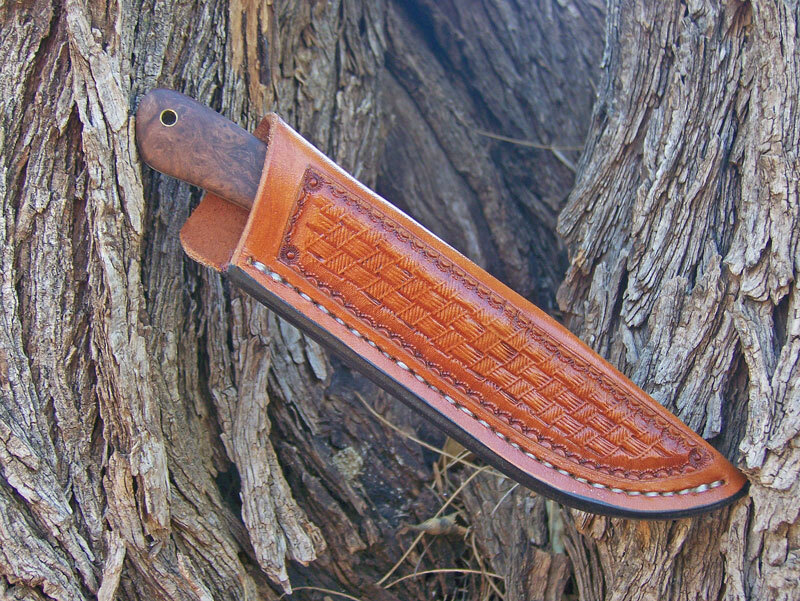 Overall length is 7 3/4, blade is 3 1/8.